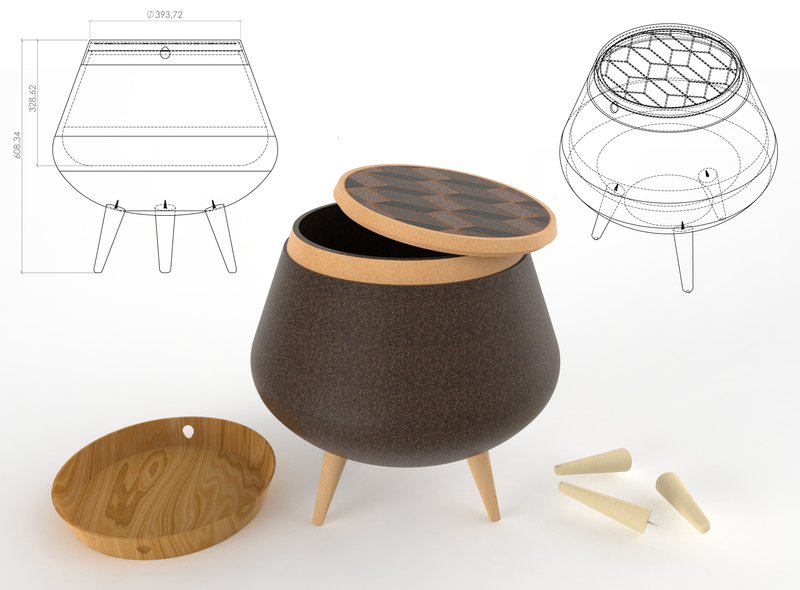 Melting Pot is a hybrid object, between a side table with a tray, a stool or a storage table. It is a tribute to cork material. 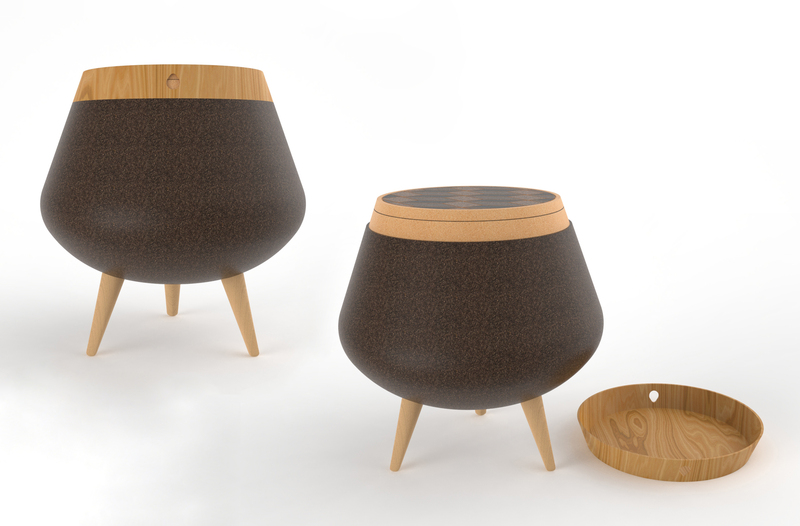 It is made of black cork, a material considered as poor and which is mainly used in home insulation. This black cork, named « Falca » is taken off from the cork oak branches (and not from the trunk), during the pruning process. This material, usually considered as waste, is then placed in a mould and pressed in the boiler to 360 degrees heated water. This process allows to agglomerate the material without any glue nor additives, and gives a darker colour to the cork. 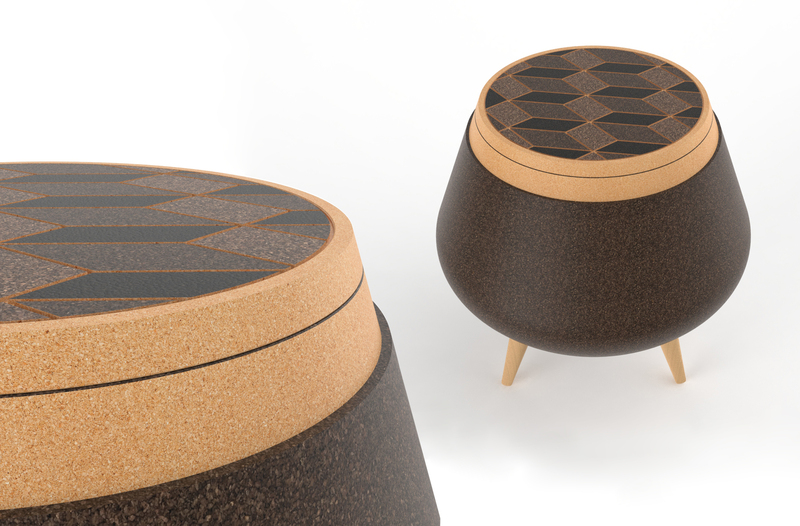 The shape is given by CNC cutting which reveals the different shades of the cork. The pattern on the top of the lid refers to traditional Portuguese tiles. 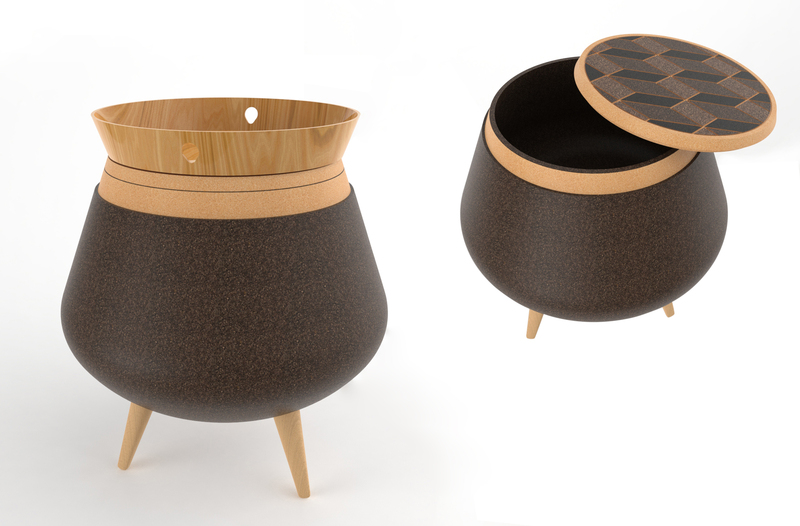 Melting Pot brings together different aspects of Portuguese culture and will become an essential piece to your living room.